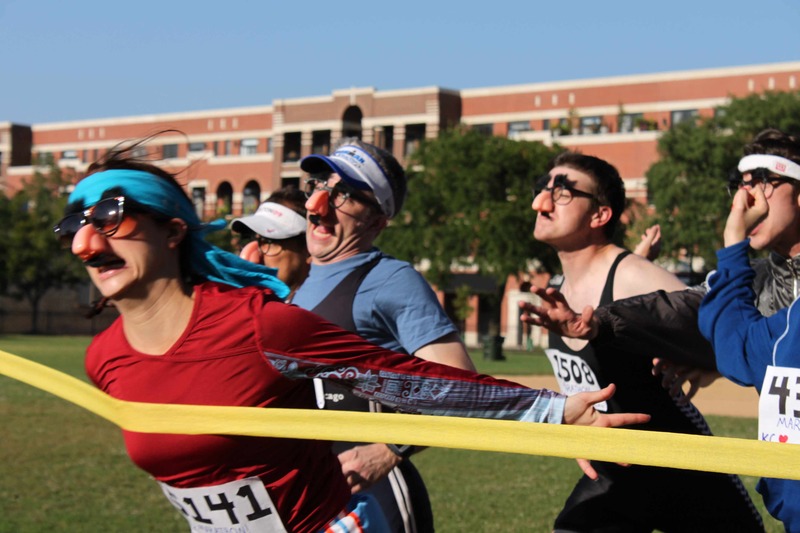 Improv folk don’t joke around when it comes to marathons. Got this press release in my box, and had to share. Looks insane and totally like something only some Chicago group would/could do. I wish I could go, but my dance card is already full, alas. Eight actors. Thirty hours. No script. No sleep. No sanity. The brave members of local improv troupe K.C. Redheart will test their wits, endurance, and sanity as the core group of “marathoners” going without rest while improvising for 30 straight hours!But they are not alone! In effect, the marathon is 30 unique shows, as each hour the Marathoners welcome guests from around the city to improvise with them, including performers from the Second City, iO, ComedySportz, the Annoyance Theatre, and K.C. Redheart’s home, the Playground Theater. With the help of so many different performers, the Playground Improv Marathon will showcase the diversity and vitality of Chicago’s improv scene. There will be short-form games in the style of Whose Line Is It Anyway?, experimental and narrative long-form shows, family-friendly shows during the day, and anything-goes sets during the late night hours. As an added bonus, the audience will witness the Marathoners’ transformation from well-adjusted adults to sleep-deprived comedy nutjobs by the end of it all. And most importantly, all of the proceeds go to a great cause. Since it was formed in 2008, K.C. Redheart has become one of the most respected, experimental, and flat-out fun improv teams in Chicago. Now a full-fledged Playground Member Team, K.C. Reheart was originally a product of the Playground Theater’s Incubator program, which first assembled its members: Karisa Bruin, Margaret Conway, Nick Leveski, Mark Logsdon, Dave Maher, George Serad, Adam Shalzi, Bill Stern, and Katie Thomas. K.C. Redheart has since performed its narrative-bending long-form improv formats at festivals such as Out of Bounds Comedy Festival in Austin, TX and i3 in Raleigh, NC. Recently, their improvised play-within-a-play, Process, was named a “Critics’ Pick” by Time Out Chicago. Process is currently running every Saturday at 8pm at the Playground until the launch of the Marathon. What: K.C. Redheart presents the Playground Improv Marathon. When: Friday, August 26 @ 5pm through Saturday, August 27 @ 11pm. Where: The Playground Theater, 3209 N Halsted Ave (Halsted & Belmont), Chicago, IL 60613. Tickets: $5 for matinee hours, $10 for prime time hours, or $25 for passes to the entire Marathon. Tickets are available at the door. Matinee hours are suitable for all ages, prime time hours are suitable for those 13+, and late night hours are suitable for those 18+. For those 21+, the Playground Theater is BYOB. For more information, visit Facebook.com/PGMarathon or The-Playground.com, or call 773.871.3793.